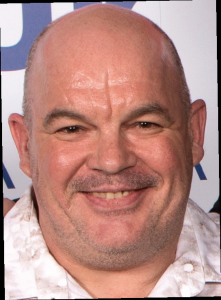 At the helm of one of the UK’s top multi award winning pool building teams, David Bland of Portrait Pools, would love to sit down to dinner with Mohammed Ali and Norman Wisdom, and, is a world record holder for the biggest jelly ever made! Where and when was your introduction to the pool business? A friend of mine was an engineer working on a pool project. He asked me, as a builder, to help on the job. How has the industry changed since your involvement, if at all? Originally people wanted basic square pools, now clients are looking for indulgent, luxury statements to complement their homes. What are your biggest daily work challenges? Deliveries arriving on time, keeping up with demand and relying on other trades keeping to schedule. What are the biggest challenges facing your customers/the industry right now? The choices of pool construction and the many different contractors’ customers can choose from. How do you see the pool market evolving? What do you listen to on your way to and from work? I don’t get chance generally as my phone doesn’t stop!! In between calls, I am most likely to be tuned in to Radio X. What is the best piece of work advice you have received and from whom? If you had the chance to invite three special guests to a dinner party – who would they be? How do you most like to spend your time out of work? Portrait Pools once appeared on The Big Breakfast Show. We provided a pool, which was being used as a giant bowl to make a 10,000 gallon jelly. It was, at the time, the world record for the biggest jelly ever made. In fact, this could possibly be my proudest ever moment!